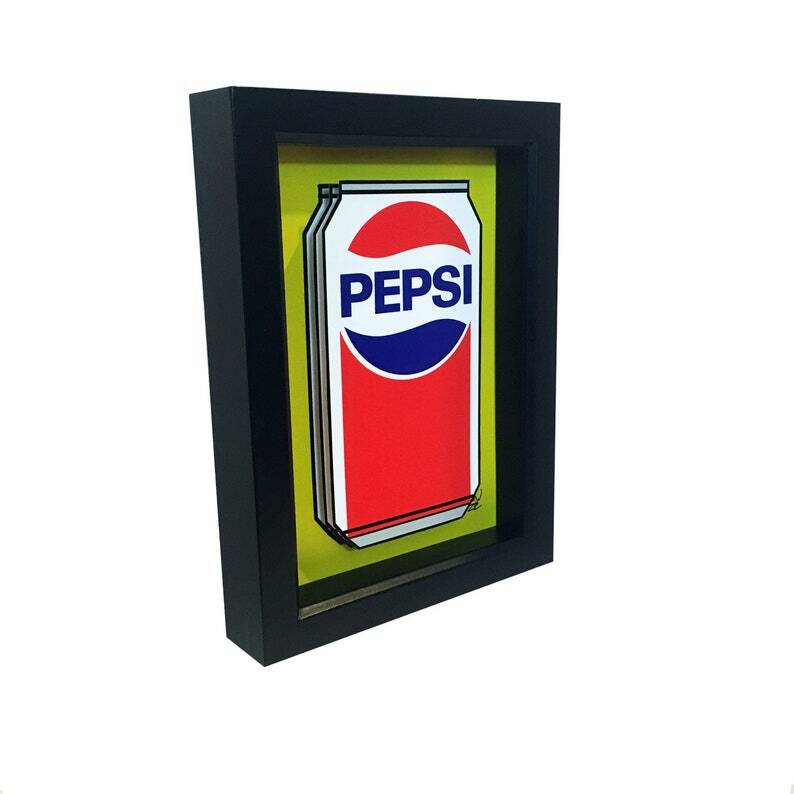 This Pepsi 3D Art is inspired by the iconic Pepsi can of the late 1970s and early 1980s. The paper cut Pepsi can is layered in 3D. It’s the perfect piece of kitchen decor for the art lover in your life. The three dimensional effects of this artwork really make it "pop."